After three straight wins over Bayshore HS, all of which ended in a quick five innings of play, the Key West High School baseball team flew out to Myrtle Beach, South Carolina for their annual Spring Break trip. After playing in the Coach Bob Invitational last Spring Break in Arizona, the Conchs stayed on the east coast this year looking for fierce competition in the Mingo Bay Baseball Classic. Key West (12-3) will be playing three games in the next three days against teams all from Virginia. First, today at 12pm they battle Osbourn HS. Tomorrow, Forest Park HS. Then Wednesday, Oakton HS. On Thursday, the Conchs play in the semifinals, and depending on how the team does in the first three days, will play a team from either Virginia, Tennessee, Maryland or Florida. The Conchs have plenty of momentum heading into the Mingo Bay Tourney to possibly come home with big wins. Since losing to Cyrpess Bay on March 5th, the Southernmost baseball team has put their heads down and have gone to work. The Conchs have won six straight games, while outscoring their opponents 65 to 19. 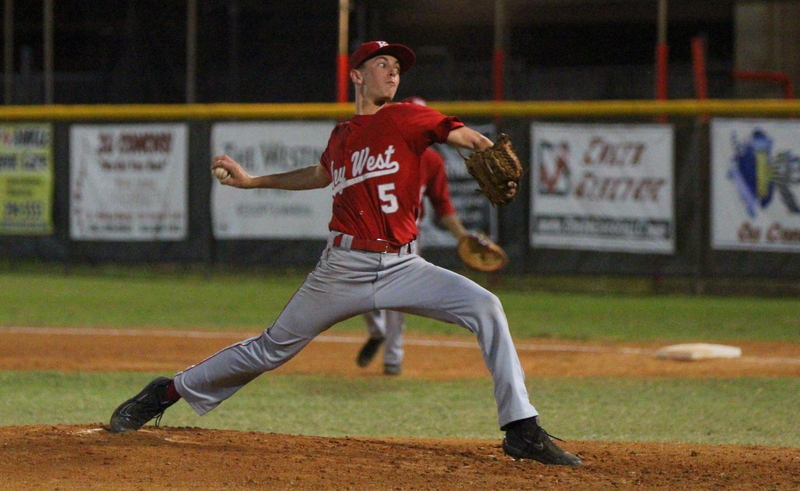 Key West has played plenty of baseball in the past three days and could possibly play five games in the next five days if they reach the championship game. There are 18 teams, including Key West, in the Mingo Bay Baseball Classic vieing for the top spot in South Carolina this week: 11 from Virginia, three from Tennessee, two from Florida, and one from both Maryland and South Carolina. The Conchs look to come back home with hardware and show why South Florida baseball is some of the best in the nation. First pitch for the Conchs today will be at 12pm against Osbourn HS, make sure to listen to the game, and all of them, on WKWF Sports Talk Radio 1600 or follow me on Twitter (@therealBeede) for updates!